Podcast on the Brink is back for a new episode with host Jerod Morris of The Assembly Call. The show is currently available each Wednesday. You can access a full archive of episodes here. In this week’s edition of the show, Morris and Inside the Hall editor Alex Bozich are joined by Fran Fraschilla, a college basketball and NBA draft analyst for ESPN. Great podcast Jerod & Alex! It seems I say that every time, but I really do mean it every time also. LOL I really enjoyed it. 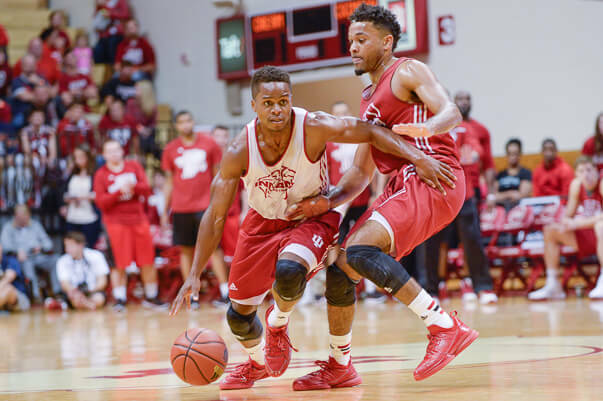 I absolutely loved the way you “cleared the air” on a couple of issues – Fran expanding on why he thought it was easier to teach defense over offense, and why IU should be better defensively this year. Lot’s of good questions! Alex, maybe a summary, or highlights, to post to the forum? Thank you Tom! Fran was great in taking all of our questions and giving candid, complete answers — as well as admitting where he didn’t know enough/hadn’t seen enough to speak authoritatively. Awesome podcast. Some really nice tidbits and insights there.